The Swans' bad kicking let the Pies off the hook and the hoodoo continues. The battle for the home finals in the top 4 is hotting up, and you can throw a blanket over 5th to 11th in the fight for the last couple of spots in the 8. Now the Olympics are over, all my friendly chatting to Collingwood and Essendon supporters has come to an end and normal hostilities resume, beginning immediately with the Carlton v Essendon blockbuster this week. 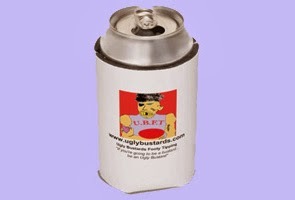 Spot prize #6 is still up for grabs for some intelligent Uglybustards tipster in the Prize Pool. Or is that an oxymoron. Read on below for your chance to win. Griggsy and Longee have skipped four points clear in the tipping ladder in a break that does appear to be decisive at this stage of the season. They've been 1st & 2nd for eight weeks, and have swapped the lead for the past 3 weeks, level on points but this time Griggsy is up by 5 points in the margin. Third spot is very tight with six tipsters within 2 points. Uglybustard, Elmo, Craig Nettlebeck, Billycat, powerful and Sam Griggs will be fighting out the last place on the podium. The margin comp has been just as close, with the Tilt, Rod Carter, handing back the lead to Uglybustard. Top spot has swapped between these two and David Feck'Em for the past five weeks. Uglybustards holds a 13 point lead from the Tilt, with Feck'Em another 25 points back. Pete Connor is still a chance just 7 points in arrears of Feck'Em. No jackpot this week. Up to $15 for round 21. In the Trivia Comp Griggsy has edged his way into 2nd place, in front of Rotten Ronnie Andrews by the barest of margins. Mathematically he can still win the comp if Uglybustard manages 0 from 20 in the last two rounds and Griggsy gets two perfect scores. But I'm sure Rotten Ronnie will take him out behind play before he can blink an eyelid. Elle can rest easy once again.